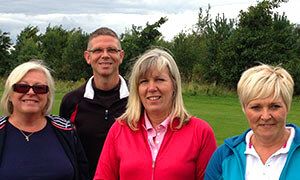 See our range of golf coaching packages, book lessons and even buy gift vouchers for friends and family. 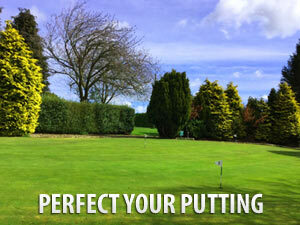 We have introduced a great range of golf products designed to give you the edge and make you a better player. As a qualified NLP Sports Practitioner I can show you how NLP can teach you to re-programme your mindset and use it to improve your golf. Introducing a simple, cost effective approach to professional golf instruction with lessons and lesson packages tailored to meet your needs. Since 2006, I have offered a comprehensive range of individual and group lessons, and lesson packages to golfers of all ages experience and abilities, at Knotty Hill Golf Centre, Sedgefield on the Durham and Cleveland border in the North East of England. 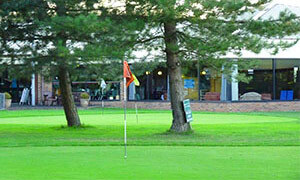 Knotty Hill Golf Centre has some fantastic practice facilities, including two covered driving ranges, two outside ranges, two chipping greens (one with a practice bunker) and two putting greens.There are five loops of nine holes which can be mixed together to produce eighteen holes to suit the standard of any golfer. It also benefits from a nine hole 'academy course' which is ideal for introducing beginners to the game of golf as well as perfecting skills of more accomplished players. In that time I have helped golfers cut countless strokes from their handicap, introduced beginners to the game, assisted golfers in achieving their goal of winning club competitions, as well as helping people get more fun and enjoyment out of the game. Full swing lessons take place in the Millennium Suite, a purpose built teaching bay at Knotty Hill. 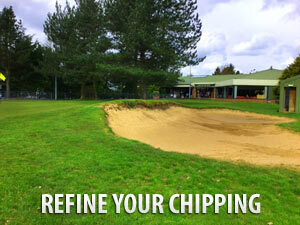 For lessons on chipping, pitching, bunkers and putting we would use one of the dedicated short game practice areas. lessons can also use Skytrack Launch monitor which is not only great for helping golfers understand the changes they are making to their swings and the impact of those changes, but also helps me provide unbiased, independent advice to the equipment they are using. SkyTrak is also great for great for enabling golfers to know how far they hit each club, from a full swing with a driver to half swings with wedges. Some people are hesitant about taking lessons as they fear that the coach is going to 'rip everything apart' and make them start again. I have found that this is almost never the case. My coaching philosophy is that your strengths are highlighted and your weaknesses improved upon. Any changes that we make should be solely focused on improving the quality of the strike on the ball. Clients can choose from single lessons; however, the lesson packages offer a cheaper, more cost effective alternative for those seeking long-term, sustained improvement as they include added benefits such as a free initial assessment and a personalised coaching log to further aid development. Lesson packages can start from as little as £5 per week. A selection of golf lesson gift vouchers are also available and make an ideal gift for golfers looking to improve. Vouchers can be purchased directly from me and are also available at Knotty Hill Golf Centre. I also offer both one-day and half-day golf schools, ideal as a gift or for golfers who maybe don't have time to commit to regular lessons. These schools offer a 'one stop shop' for improvement in your game and combine all the key features of the improvement pages in one session. Details of these schools can be found on the packages and prices page. During the lessons I use Hudl Technique swing video analysis. This analysis software not only allows you see your swing alongside some of the world’s best pro golfers, but is great for feedback as a video review can be sent after the lesson to aid in continued development. Not only is this great for normal lessons, this software also enables distance coaching, useful if you don't have time for regular lessons. 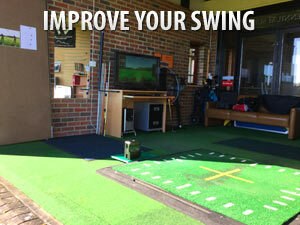 A client can simply record their swing on their smart phone, iPad etc and email it to me. From there, I can analyse it and send it back to them with suggestions for improvement. Please contact me for availability and pricing if this is of interest. Hear what my customers are saying and see why im teaching people allover the Northeast how to enjoy and play better golf. 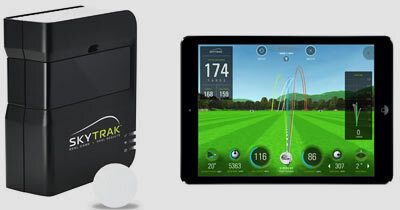 Learn more about the fantastic range of SkyTrak products available and how they can help improve your swing. Improve all aspects of your game from pitching to putting in a friendly, relaxed manner.